.·:*¨♡¨*:·. LaCaRoLiTa'S DeSiGnZ .·:*¨♡¨*:·. : FREEBIE_ OH, My Heart. Thank you so much for this Freebie. 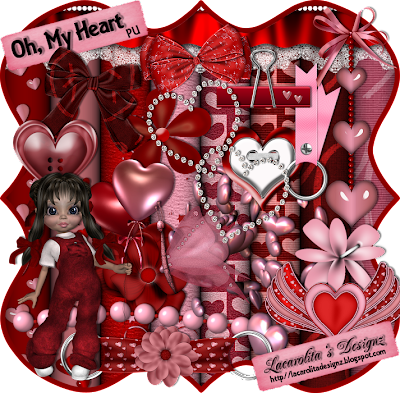 I want to let you know that I posted a link to your blog in CBH Digital Scrapbooking Freebies, under the Page 1 post on Jan. 10, 2010. Thanks again. Dank je wel voor het delen van deze mooie scrapkit. Thank you so much for the wonderful kit ! thanks so much Lacaolita for this adorable kit! I luvs it! Thanks so much for your pretty kit. oh this is very beautiful and thank you very much for this lovely gift! Thanks so much! The little girl is adorable! Thank you for this great freebie. i also snagged your freebit kit & it is beautiful! thank you for sharing!